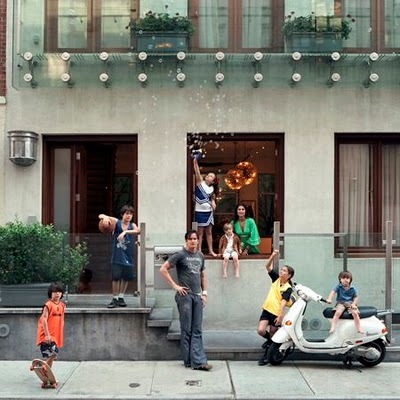 Remember the Novogratz known for 1) smashing good looks, 2) design savvy, 3) thrift and ingenuity, 4) Sixx Design, 5) their book Downtown Chic and 6) raising seven children between the ages of 3 and 15? Well, they're cruising through DC and I'll be seeing them this Tuesday at 6pm at CB2 in Georgetown. So can you! They're in town to promote their new book Home by Novogratz and their new furniture line at CB2. It's quite the year for them, no? Should be a good time - hope to see you there!